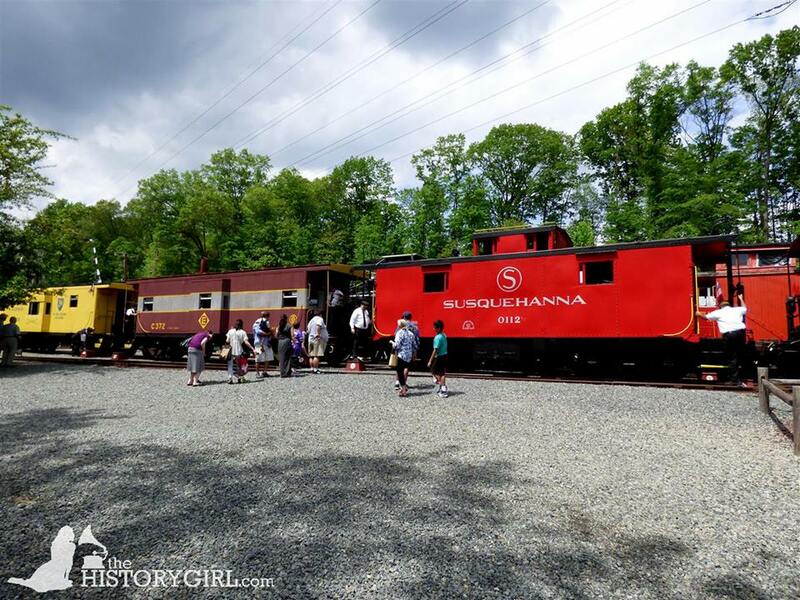 NJ Weekend Historical Happenings: 9/17/16 - 9/18/16 ~ The History Girl! The Atlantic Highlands Historical Society will hold its 37th annual Outdoor Flea Market at the Atlantic Highlands Marina (off First Avenue) on Saturday from 10:00 am - 4:00 pm. The rain date is Saturday, September 24, 2015. Over 100 vendors will offer a variety of antiques and collectibles, crafts, second time around, and some new items. Among the merchandise to be found is furniture, tools, fishing equipment, jewelry, books, postcards, tee shirts, handbags, clothing, toys, art, glassware, etc. Also an eclectic array of bargains can always be found at the society's Treasures Table as well as a variety of food, refreshments, and baked goods. Members will also be on hand to answer questions about the society, its mansion, and our other ongoing programs and events. All proceeds from this event will be used towards the restoration of the AHHS Museum, the Strauss Mansion, at 27 Prospect Circle, as well as educational programs throughout the year. For more information, call 732-291-4313 or 732-291-9337 or visit www.ahhistory.org. Learn how your seafood gets from the sea to your table and hear how Cape May has become the third largest commercial fishing port on the East Coast on this guided tour of Fisherman's Wharf at the Lobster House on Saturday at 11:00 am. Admission is $10 adults; $7 children (ages 3-12). Part of the Cape May Food & Wine Celebration. Sponsored by the Mid-Atlantic Center for the Arts & Humanities (MAC). For more information and to reserve tickets, call 609-884-5404 or 800-275-4278 or visit www.capemaymac.org. 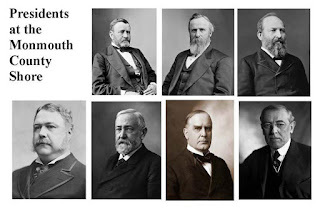 Bob Mayers will be featured during a full day of events “Historic Morristown, New Jersey” sponsored by the Sons of the Revolution. 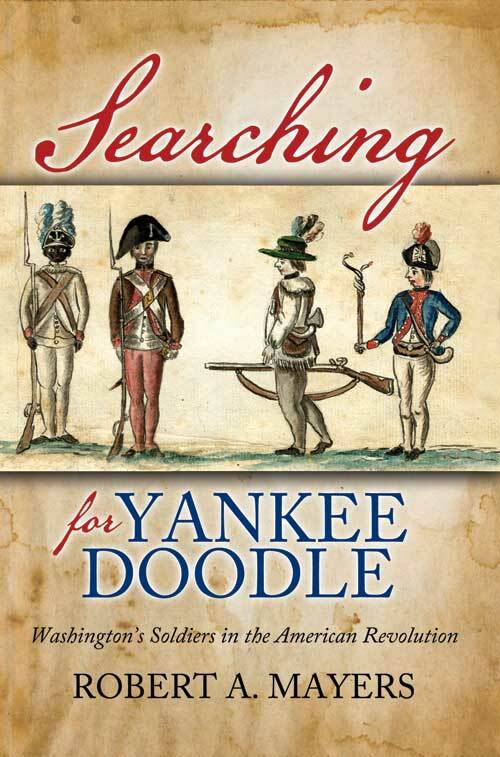 Bob will discuss “Forgotten, but critical events of the Revolution in the Morristown Area” and introduce his new book Searching for Yankee Doodle, Washington’s Soldiers in the American Revolution. Washington spent more time in New Jersey than anywhere else during the war. Morristown’s strategic location made it a center of Revolutionary War action. The town, was central to the war’s activity with two winter encampment of the entire American Army at Jockey Hollow and Washington’s Headquarters. The event will include several lectures by noted writers and local historical insights on a docent-led bus tour through Morristown and the area. The day's program will start at the Old Mill, Inn, Basking Ridge, NJ. Events include brunch, lectures, bus tour. For more information, e-mail cscammell@gmail.com. Taste craft beers at the Physick Estate on Saturday from 10:00 am - 6:00 pm! Celebrate the rich agricultural heritage of Southern New Jersey during this all day event featuring local food, local produce, local beer, local wine, and local talent, plus crafts & collectibles and kids activities. Admission to the grounds is free. Brew taps flow beginning at 11:00 am. The Physick Estate is located at 1048 Washington Street, Cape May, NJ. Part of the Cape May Food & Wine Celebration sponsored by the Mid-Atlantic Center for the Arts & Humanities (MAC). For more information, call 609-884-5404 or 800-275-4278 or visit www.capemaymac.org. On Saturday from 1:00 - 2:30 pm, join in this live adaptation of Eric Carle’s Pancakes, Pancakes! Learn where the ingredients for making a pancake come from, see grain ground into flour or meal, and watch the Miller make a pancake. Cost: FREE but donations appreciated. The Cooper Gristmill is located at 66 Route 513, Chester, NJ. For more information, call 908-879-5463 or visit www.morrisparks.net. It’s the end of summer and the crops are bountiful. It’s time to “put up” some food. At Howell Living History Farm, you can help. The farm will be the site of a canning and cooking program. Not only can you learn how to can and pickle your garden favorites...but you can sample some of the treats. Throughout the day, farmers will be canning and pickling surplus garden crops like cucumbers, zucchini, tomatoes and more. You can sample the results and take home recipes and other secrets that made canning a mainstay of the 1900 farm. Are you tired of the fast pace of the 21st century? Step back to a quieter time where the high price of gas, credit cards, cell phones, and computers are not found. Experience Millbrook Days where Millbrook Village comes alive as it was over a century ago on Saturday and Sunday from 10:00 am - 4:00 pm. Volunteers in period clothing will demonstrate 19th century crafts and trades recreating the atmosphere of a late 19th century rural farming community. Try the stilts, jump rope or roll the hoop. There will be kid’s games throughout the village. Marbles, checkers, ring toss, tug of war, sack race and corn husk doll making to name a few. Kids of all ages can join the fun. No batteries needed! Millbrook’s “residents” will be busy plying their trades and doing everyday chores and activities. 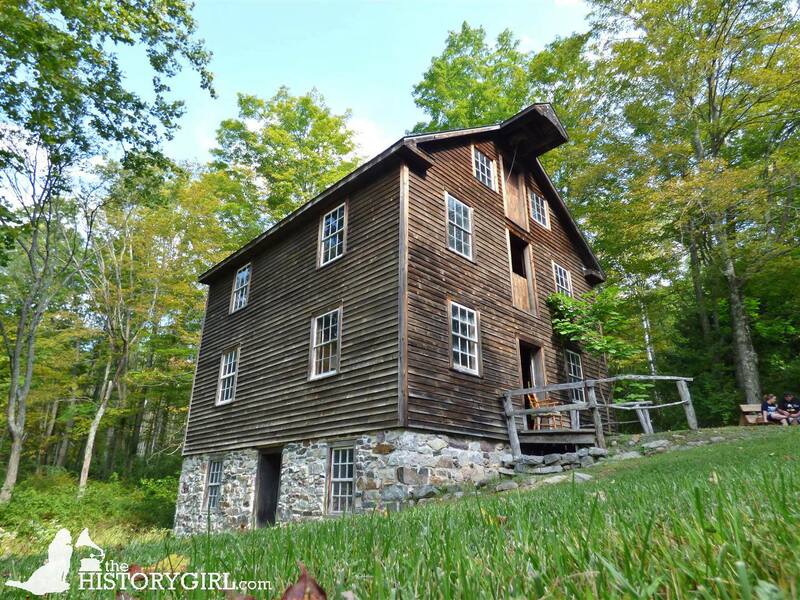 Woodstove cooking, butter churning, spinning yarn, weaving, natural dyes, gardening, lace making, sewing, quilting, food drying and preserving, gourd decorating, open hearth cooking and other things will be demonstrated. The blacksmith, wood workers, wheelwright, carvers, slate splitter, tinsmith, miller, rope maker, chair caner, shaker box maker, chair maker, wooden pitch fork maker, wet plate photographer and other craftsmen will be demonstrating their skills. Step in and ask if you can help; there are lots of hands-on things to try. An assortment of hit and miss engines will be setting the tempo for the corn Sheller, grinder and other vintage machinery. To some the sound of the old engines is music too. I hear they‘ll be making some ice cream with an engine driven ice cream churn, too. What flavor might that be? Apples are in season. The grinder and press will be turning out some fresh cider and the kettle will be cooking down some apples for delicious apple butter. Lend a hand, it’s fun. There’s something for everyone to see and enjoy. A friendly atmosphere abounds and new friends are sure to be found at Millbrook Village. Everything is free of charge and family oriented. Donations are accepted. Picnic and restroom facilities are available. A food concession is available on both days provided by the Harmony Hill Presbyterian Church. Parking and admission is free. This event will be held rain or shine. Millbrook Days is presented by the Millbrook Village Society in cooperation with the National Park Service. Millbrook Village is part of the Delaware Water Gap National Recreation Area. Millbrook Village is located in Hardwick Township, NJ at the intersection of Old Mine Road and Millbrook Road, County Route 602N. For more information and directions, call 908-841-9531, 908-537-2544, or 973-875-3461 or visit their Facebook page. Gateway National Recreation Area Sandy Hook Unit will engage the public in their national park. This two-day arts fest includes swing dancing with instruction, jazz performances, guided tours of Fort Hancock, kids arts and environmental activities, naturehood watch project, kite-making, coffee sack racing, face painting, community and plein painting, food trucks and vendors, shuttle tours to environmental art sculptures, and much more! This free event will be held from 11:00 am - 4:00 am at the parade grounds at Sandy Hook, part of Gateway National Recreation Area. For more information, call 718-354-4606 or visit www.nps.gov/gate. The Civil War comes to life at Historic Cold Spring Village’s annual Civil War Weekend, Saturday and Sunday, from 10:00 am - 4:30 pm. Visitors can tour Union and Confederate camps and meet authentically clad and equipped military and civilian reenactors who will discuss the everyday lives of Civil War soldiers and the roles civilians played in supporting them. Educator and weapons expert Jack Meyers will be in the Village Welcome Center with a large display of Civil War-era firearms. The Cranford Historical Society invites you to join them for an ice cream social on opening day, this Sunday, September 18, 2016 from 2:00-4:00 pm at the Crane-Phillips House Museum. Stop by the museum with family and friends for a tour and then enjoy a delicious treat - a good old-fashion ice cream cone. The Society will also be conducting a food drive to benefit Cranford Family Care. We ask all that attend to bring a non-perishable food item. Reservations are needed. The Crane-Phillips House Museum, 124 North Union Avenue, Cranford, NJ. 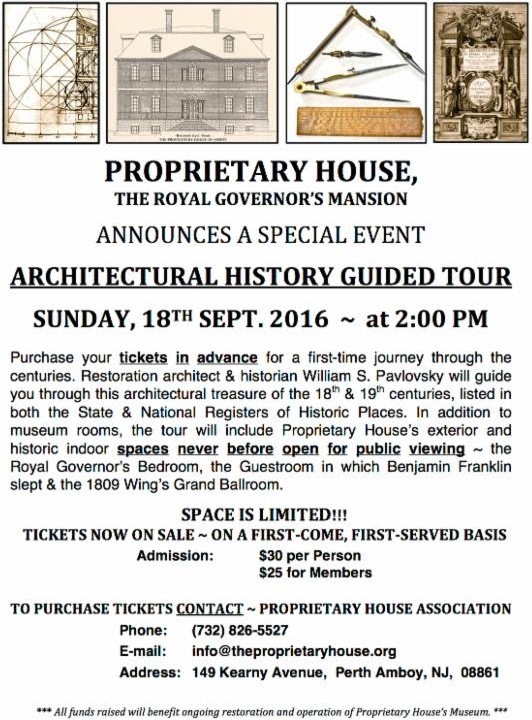 Admission is free but reservations are required - call 908-276-0082 or e-mail cranfordhistoricalsociety@verizon.net. The society has been dedicated to the perpetuation of Cranford's history by continuing to collect and document the town's past as we now enter the 21st century. 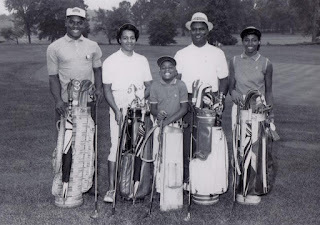 For more information, visit www.cranfordhistoricalsociety.com. "Green Witch” Robin Rose Bennett, always spellbinding, will once again share her wisdom with Durand-Hedden visitors about the beautiful herbs and the weeds we pull from our gardens. These plants, say Robin, offer a treasure trove of gifts for us, providing an abundance of zesty tastes, nutritive value, and, perhaps most surprisingly, medicinal benefits! Common plantain can reduce the itch of a mosquito bite or the pain of a wasp sting. Three dandelion leaves provide 20,000 IU of Vitamin A in the form of natural beta-carotene. Sweet blue violet leaves can dissolve breast cysts in the breasts. Come learn about these and much more first-hand in an experiential plant walk on Sunday, September 18 from 2:00 - 3:30 pm in Grasmere Park and the herb garden. There you'll identify, smell, touch, and taste these beneficial plants with herbalist and author of The Gift of Healing Herbs: Plant Medicines and Home Remedies for a Vibrantly Health Life, Robin Rose Bennett (www.WiseWomanHealingWays.com). Also on September 18, from 1:00 – 4:00 p.m. visitors can catch the exhibit, "From Farm to Suburb: The Birth of College Hill," which explores the evolution of a section of Maplewood from a dairy farm to a popular neighborhood of 300 houses. Out in the carriage house the Country Store will be selling historic-themed treasures: early American children’s games, books and toys, facsimile documents, quill pens and ink, historic cook books, cookie molds, tin lanterns, reproduction decorative ceramics, vintage photos, hiking sticks and more. The hard-to-find original Doors of Maplewood poster and Smile, the history of Olympic Park, will also be available. 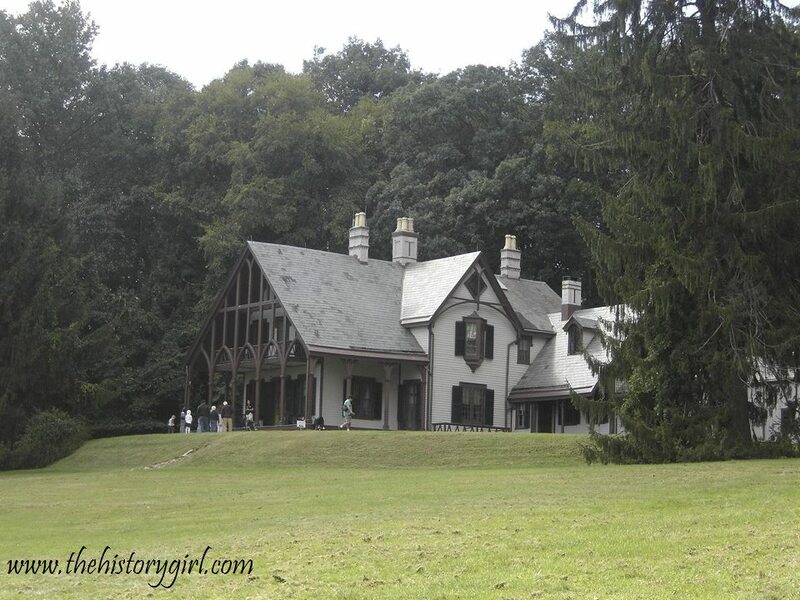 The Durand-Hedden House is located in Grasmere Park at 523 Ridgewood Road in Maplewood, New Jersey. For more information, call 973-763-7712 or visit www.durandhedden.org. 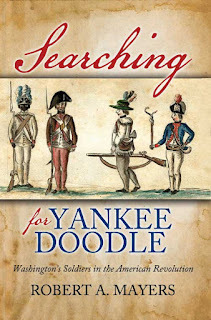 On Sunday, from 2:00 - 4:00 pm, author Michael C. Harris who will be speaking about his book, Brandywine: A Military History of the Battle that Lost Philadelphia but Saved America, September 11th, 1777 at the Van Horne House in Bridgewater. Mr. Harris will also sell and sign his book for you! $35.00 per copy. ​Brandywine was a pivotal battle in the Revolution and one that anyone interested in our American history will want to know more about. We don't want to give any information away that would be best heard from the author himself! About the Author: Michael C. Harris is a graduate of the University of Mary Washington and the American Military University. He has worked for the National Park Service in Fredericksburg, Virginia, Fort Mott State Park in New Jersey, and the Pennsylvania Historical and Museum Commission at Brandywine Battlefield. He has conducted tours and staff rides of many east coast battlefields. Michael is certified in secondary education and currently teaches in the Philadelphia region. He lives in Pennsylvania with his wife, Michelle and son, Nathanael. Admission is free, but space is limited to the first 50 people. Walk-ins are not guaranteed a space. Click here to reserve your FREE ticket today. The Historic Van Horne House is located at 941 E. Main Street. Bridgewater, NJ. Park behind the Target store at 200 Promenade Blvd., Bridgewater, NJ. Handiap parking is available at the house for those requiring it. For more information, visit www.heritagetrail.org. Johnny Appleseed was born September 26th. In honor of his birth, on Sunday, from 1:00 - 3:00 pm, children are welcome to help make apple juice the old-fashioned way - by pressing apples in a wooden press. Sample this sweet and delicious natural beverage; make apple-themed crafts, and try your hand at colonial era wooden toys and games. Tour the historic house and garden. Children can find artifacts while participating in a mock archaeology dig. There will be other fun crafts and games, including painting with apples and more! Children will receive a free book and a prize for completing all activities! This event is FREE. Owned, maintained and operated by the City of Trenton with assistance from The Trent House Association, the historic house museum is regularly open to the public for tours Wednesdays through Sundays, 12:30 - 4:00 pm and by appointment for school and group tours. Located at 15 Market Street in Trenton, NJ adjacent to the Hughes Justice Complex. Ample free parking. 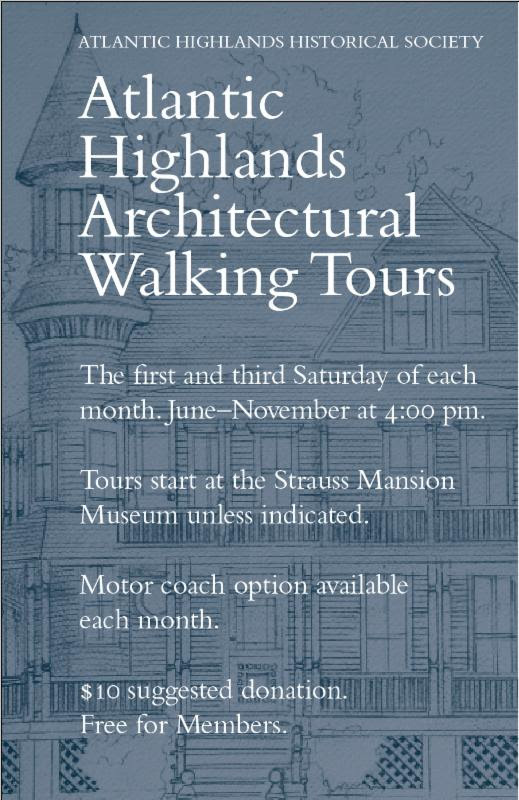 For more information, call 609-989-3027 or visit www.williamtrenthouse.org. Enjoy autumn’s splendor at Willowwood Arboretum in Chester Township on Sunday from 12:00 noon - 4:00 pm. Take a guided tour of the gardens and meadows, or stroll the grounds using your cell phone to guide you. The Tubb’s house is open for a rare peek at the home life of botanizing brothers, Henry and Robert Tubbs. Curated talks about some of the decorative arts in the house, such as the fine collection of Willowware, are given throughout the day. Horticultural staff share tips on how to properly put your garden to bed and which trees, shrubs, and flowers are fall-performers. Light refreshments are provided by the Willowwood Foundation. Admission: $5 per car. Pre-registration is required. To register, 973.326.7603. Willowwood Arboretum is located at 300 Longview Road, Chester Township, NJ. For more information, visit www.morrisparks.net. Come one, come all to the country fair at Fosterfields Living Historical Farm with farm animals, wagon-rides, food trucks, live music, crafts, exhibits, demonstrations, period games, wood-burning cook stove demos, and hands-on activities. This annual event attracts hundreds of people! Fun for the entire family from 12:00 noon - 5:00 pm. Admission: $8 per adult, $7 per senior (65+), $6 per child age 4 - 16, $4 per child age 2 & 3. FREE per child under age 2. Friends members are half price with a current membership card. Fosterfields Living Historical Farm is located at 73 Kahdena Road, Morristown, NJ. For more information, visit www.morrisparks.net. Do you make the best cornbread? Bake a 9" x 13" pan and bring it to Walnford at 12:30 pm along with a printed copy of your recipe. Judging will be done by your peers and our experts. Visitors may sample and judge the entries from 1:00 - 2:30 pm. Ribbons will be awarded at 3:00 pm. Have a knee slapper, a guaranteed chuckler? Win the coveted Golden Ear trophy at Historic Walnford’s Annual Corny Joke Contest! Enter up to three family friendly jokes - the “cornier” the better. Voting by laughter and applause at 2:30 pm ensures a fun time for all. You must be present to participate. The “corn”ier the better! Join the residents of Raritan Township on Sunday for the annual parade in honor of former resident John Basilone. 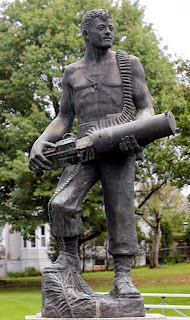 John Basilone (November 4, 1916 – February 19, 1945) was a United States Marine Gunnery Sergeant who received the Medal of Honor for his actions at the Battle of Guadalcanal, where he and two other men held off 3,000 enemy troops after the rest of their unit was killed or wounded. Although he could have lived on his laurels on war bond tours, he chose to go back to the Pacific, and was killed on the first day of fighting on Iwo Jima. He would have received a second medal of honor for his actions there, destroying a Japanese blockhouse while his unit was pinned down. However, there was no precedent for a double Medal of Honor recipient, so he posthumously received a Navy Cross. The John Basilone Museum in the Raritan Library will be open on Sunday from 10:00 am - 1:00 pm. The parade will begin at 1:00 pm on Somerset Street in Raritan, NJ. Immediately after the parade there will be a ceremony at the Basilone statue on Somerset Street. For more information, visit www.basiloneparade.com. The Red Mill Museum Village in Clinton will host the New Jersey Blacksmith Association's (NJBA) annual Hammer-In on Sunday from 10:00 am - 4:00 pm. The day’s activities will center at the museum’s blacksmith forge where members of NJBA, some who are local blacksmiths, will be forging in the Red Mill shop. Smiths will also be working and demonstrating on portable forges set up along the riverbank. Blacksmiths' work will be available for purchase and creating an individual's specific project can be explored as well. The New Jersey Blacksmith Association is a group dedicated to the promotion of the art and craft of blacksmithing, Members are active throughout the state teaching, demonstrating at events and fairs as well as being resident smiths at a variety of historic sites in NJ, DE, NY, and PA. This is a good chance to ask one for more information- smiths always enjoy talking about blacksmithing. Tool dealers and collectors are invited to tailgate along the riverside to sell and swap their blacksmithing tools and accessories. Among the items to be found will be anvils, blowers, forges, vises, hammers, and tongs, some quite old. Visitors who have “what is it?” objects cluttering up the garage can bring them along and members of NJBA will be glad to identify them. The Red Mill's admission for the day’s activities is $10 for adults, $8 for seniors, active military and veterans, and $6 for children (6-12). Free for NJBA members, children under 6, museum members. Included in the price is admission to the museum’s historic buildings, grounds, and exhibits, with a guided tour included with admission offered at 2:00 pm. The Red Mill is located at 56 Main Street, Clinton NJ. 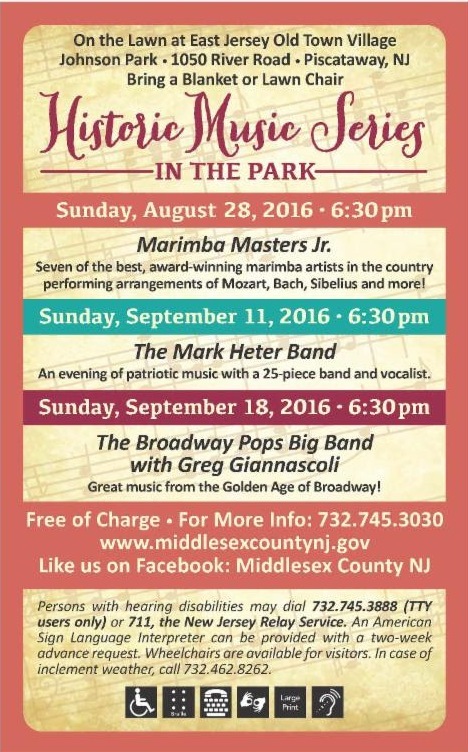 For more information, call 908-735-4101, ext. 102 or visit www.theredmill.org. See the current exhibit at the Carroll Gallery, "Tommy's Folly: The 200th Anniversary of Congress Hall." Guest curated by Congress Hall owner Curtis Bashaw and Exit Zero publisher Jack Wright, this exhibit features the history of Congress Hall, one of America's most illustrious hotels. The exhibit is in the Carriage House of the Emlen Physick Estate, 1048 Washington Street, Cape May, NJ. Admission is free. Exhibit is open from Friday, April 29 through Monday, October 10. Open daily; times vary. Sponsored by the Mid-Atlantic Center for the Arts & Humanities (MAC). For more information, call 609-884-5404 or 800-275-4278 or visit www.capemaymac.org. When was the last time you ate at a diner? If you are like millions in New Jersey, the answer is not too long ago. Dubbed “the land of diners,” New Jersey’s highways and main streets are dotted with silver airstreams and neon signs of the classic American diner. Moreover, New Jersey was and still is the diner manufacturing industry’s hub. This exhibition at the Morris Museum explores the rich history of the Garden State’s favorite casual eatery through classic photographs and historical artifacts, as well as original oil paintings by Wyckoff, NJ based artist Mark Oberndorf. Admission: adults, $10; seniors and children ages 3-18 $7; children under 3, free. The Morris Museum is located at 6 Normandy Heights Road, Morristown, NJ. For more information, call 973-971-3706 or visit www.morrismuseum.org.